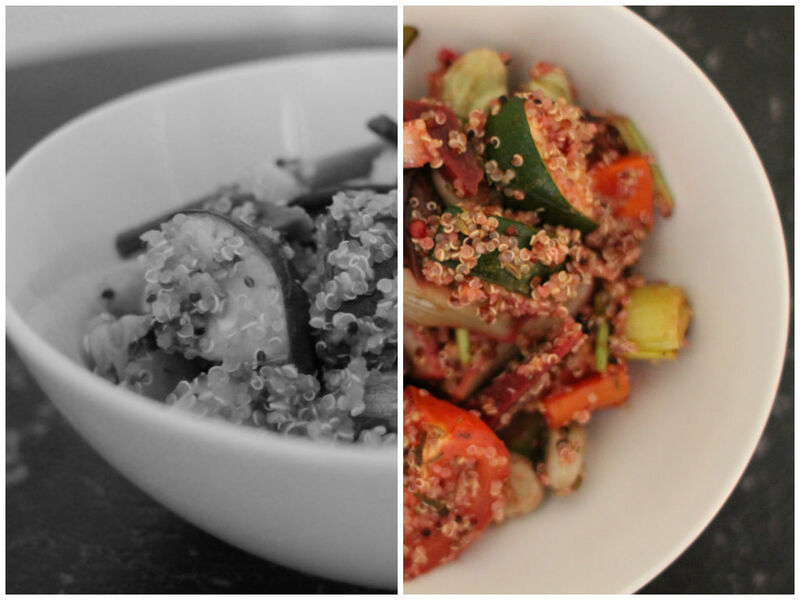 Quinoa is one of my pantry staples. Its delicate nutty flavour is so addictive! I serve with salads, curry, grilled vegetables, or braised meat. It is a perfect protein, containing all eight of the essential amino acids. It’s higher in unsaturated fats and lower in carbs than most grains and has the highest protein content of any grain, 12 – 18%. Quinoa is also high in iron, magnesium, and fiber. Plus, as a vehicle for flavor and ingredients, like rice, quinoa is primo. For the perfect cooked quinoa, you need to wash really well in a sieve to get rid of the natural bitterness of the quinoa. Cook quinoa, 2:1 liquid to grain (water, vegetable or chicken broth), for about 20 minutes. You can jazz up with some aromatic spices during cooking as well like garlic, rosemary, lemon, etc. There is no rule here to make this salad. Ingredients seem quite a lot, but use whatever you have in your fridge or in your garden. Always use seasonal vegetables which are great for nutrition and your wallet, too. Perfect salad for a family, dinner party, weekday lunch box or potluck party. Preheat the oven to 180 degrees. Wash and chop all the vegetables and place on a lined baking sheet. Drizzle coconut oil and sprinkle spices. Bake in the oven for 20-30 minutes, flipping half-way through. In the meantime, rinse quinoa thoroughly and simmer in a saucepan for 15-20 minutes until cooked. Turn off the heat and let it sit with a lid on for 5 minutes. 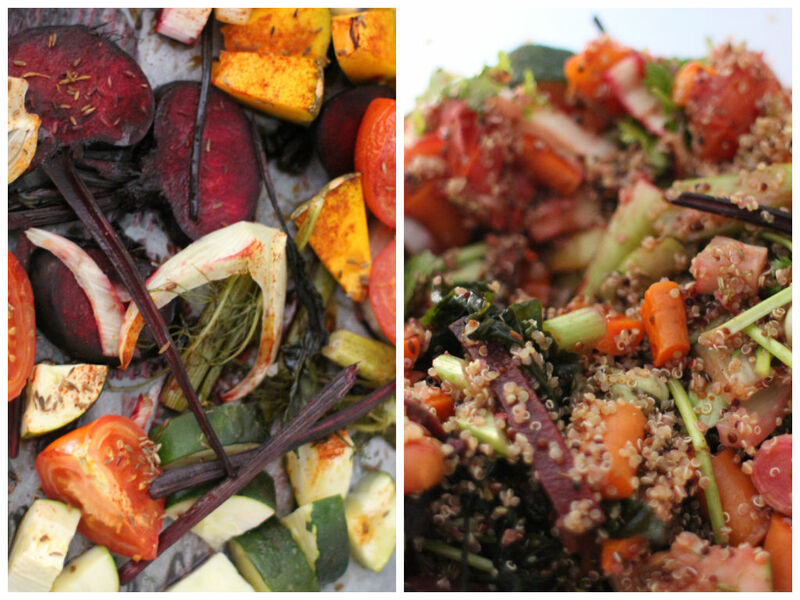 In a large mixing bowl, combine roasted vegetables, cooked quinoa and roughly chopped coriander. Transfer to a serving bowl. Drizzle more olive oil and sprinkle some nuts or feta cheese on top if you like.